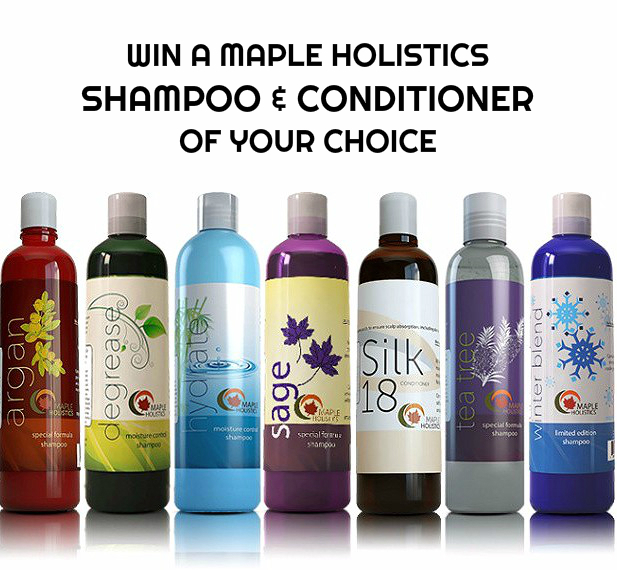 Maple Holistics Shampoo & Conditioner Giveaway - Be Glossy In and Out! Maple Holistics provide a natural, holistic range of premium products which can enhance hygiene, health and daily living. The formulaic composition of each product stands out in uniqueness, quality, and effectiveness. Only the purest and highest quality ingredients are used in each product, maximizing the therapeutic potential for each specific area of health. Some of the products include therapeutic shampoos, facial masks, bath soaks and more. All products are inspired by nature and offer 100% Quality Guarantee. Now you have the chance to win a Maple Holistic set of shampoo and conditioner of your choice, just complete the Rafflecopter form below. Giveaway ends September 20 and it is open to US, UK and Canada residents. Winner will be chosen randomly and notified by mail. Maple Holistics products are the perfect solution to reveal your hidden beauty so come and win yours today!